Sep. 2005–May 2011 Ph.D. Department of Forest and Wildlife Ecology, University of Wisconsin-Madison, U.S.A. Dissertation: Use of torpor and thermal biology in the Formosan leaf-nosed bat, Hipposideros terasensis. Sep. 1994-Jun. 1996 M.S. Department of Biology, National Cheng Kung University. Thesis: Cutaneous resistance to evaporative water loss in Taiwanese arboreal frogs. Sep. 1990-Jun. 1994 B.S. Department of Biology, National Cheng Kung University, Taiwan. 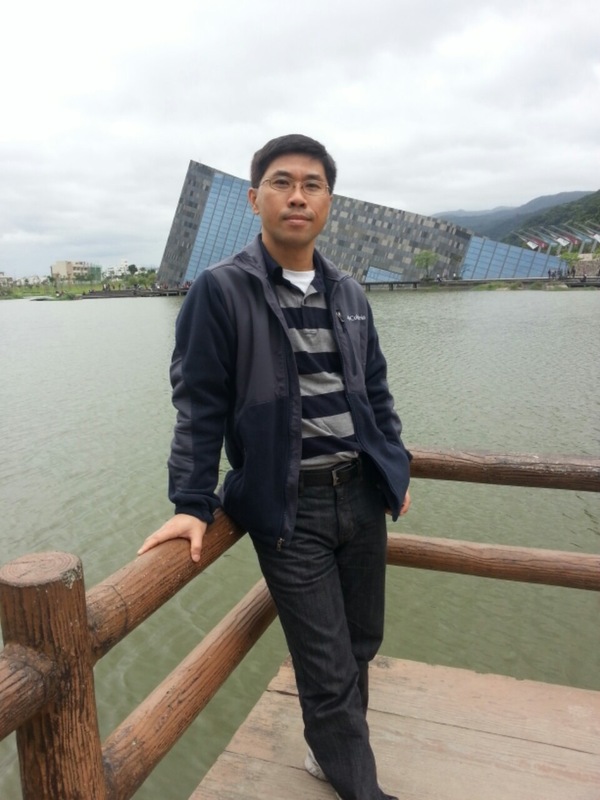 Aug. 2013-Present Assistant Professor Department of Forestry and Natural Resources, National Chiayi University. Jul. 2012- Jul. 2013 Postdoctoral fellow. Biodiversity Research Center, Academia Sinica, Taiwan. Project: Cooperation and conflict in communal breeding burying beetles (Nicrophorus nepalensis). May 2011-Jun. 2012 Postdoctoral fellow. Department of Forest and Wildlife Ecology, University of Wisconsin-Madison, U.S.A. Project: The effect of wind turbines on birds and bats in a wind energy project in Wisconsin. Jan. 2001-Jul. 2008 Assistant research fellow. Endemic Species Research Institute , Taiwan. Jul. 1998-Dec. 2000 Senior technician. Forestry Bureau, Council of Agriculture, Taiwan. Sun, S.-J, D. R. Rubenstein, B.-F Chen, S.-F Chan, J.-N Liu, M. Liu, W. Hwang, P.-S Yang, and S.-F Shen. 2014. Climate-mediated cooperation promotes niche expansion in burying beetles. eLife. DOI: http://dx.doi.org/10.7554/eLife.02440. Liu, J.-N.*, and W. H. Karasov. 2012. Metabolism during winter in a subtropical hibernating bat, the Formosan leaf-nosed bat Hipposideros terasensis. J. Mammal. 93:220-228. Liu, J.-N.*, and W. H. Karasov. 2011. Hibernation in warm hibernacula by the Formosan leaf-nosed bats, Hipposideros terasensis, in subtropical <?xml:namespace prefix = st1 ns = "urn:schemas-microsoft-com:office:smarttags" />Taiwan. J. Comp. Physiol. B 181:125-135. Drake, D., J.-N. Liu, C. S. Jennelle, S. M. Grodsky, S. Schumacher, and M. Sponsler. 2012. Regional analysis of wind turbine-caused bat fatality. Wind Wildlife Research Meeting. Broomfield, Colorado, U.S.A. 28-30 Nov. 2012. Liu, J.-N.*, and W. H. Karasov. 2012. Energetics and use of torpor during summer in a subtropical bat, the Formosan leaf-nosed bat Hipposideros terasensis. Oral presentation at The Society for Integrative and Comparative Biology Annual Meeting 2012. Charleston, S. Carolina, U.S.A. 3-7 January 2012. Liu, J.-N.*, and W. H. Karasov. 2011. Energetics, thermoregulation, and energy expenditure in winter in the subtropical Formosan leaf-nosed bat Hipposideros terasensis. Oral presentation at The Society for Integrative and Comparative Biology Annual Meeting 2011. Salt Lake City, Utah, U.S.A. 2-7 January 2011. Liu, J.-N.*, and W. H. Karasov. 2009. Hibernation in warm hibernacula by the Formosan leaf-nosed bats in subtropical Taiwan. Poster at The Wildlife Society 16th Annual Conference. Monterey, California, U.S.A. 20-24 September 2009. Liu, J.-N.*, F.-T Chan, and W. Karasov. 2008. Use of torpor by the Formosan leaf-nosed bat, Hipposideros terasensis, in winter. Oral presentation at Symposium on Animal Behavior and Ecology. Keelong, Taiwan. 28-29 January 2008. Abstract in Chinese Bioscience 50:32. Liu, J.-N.* 2004. Long-term monitoring of mammal populations at the 21 September 1999 earthquake area of Mt. Chiu-chiu. Oral presentation at Symposium on Monitoring Biodiversity and Habitat Restoration at the 21 September Big Earthquake Area of Mt. Chiuchiu. Nantou, Taiwan. 30 November 2004. Cheng H.-C., L.-W. Changchien, and J.-N. Liu. 2002. Distribution and population ecology of mountain bats in Taiwan. Symposium on Conservation of Biodiversity. Nantou, Taiwan. 16-17 July 2002. Hou, P.-C. L., J.-N. Liu, and C. F. Wu. 1996. Metabolic variation and blood oxygen capacity in altitudinal populations of the Taiwanese toad, Bufo benkorensis. Abstract in Am. Zool. 36:39A. Liu, J.-N.* and P-C. L. Hou. 1996. Cutaneous resistance to evaporative water loss of rhacophorid frogs in Taiwan. The 29th Annual Meeting of the Biological Society of China, 25 February 1996. Taipei. Abstract in Chinese Bioscience 39:7. Liu, J.-N. and M.-S. Chuang. 2008. The Frogs of Tung Yen Shan Forest Recreation Area. Forestry Bureau Shinchu District Office. Shinchu. Taiwan. (in Chinese). Lien, Y.-Y., H.-Y. Lee, and J.-N. Liu. 1999. Introduction to Forest Insects. Forestry Bureau. Taipei. Taiwan. (in Chinese). Liu, J.-N., J.-S. Liu, and J.-S. Chang. 2003. Present status and conservation of median-large mammals in low elevations of Taiwan. Nature Conservation Quarterly 43:61-66. (in Chinese). Liu, J.-N. and C.-Y. Lin. 2002. Current status of mammals in Yuli Wildlife Refugee. Nature Conservation Quarterly 39:57-63. (in Chinese). 2014 Research Grants. Effect of Ferret Badger rabies on badger population and biodiversity. Forestry Bureau, COA. US$50,000. 2014 Research Grants. Ecology and conservation of Leopard cat in Nantou County. Forestry bureau Nantou District Office. US$30,000. 2012 Travel scholarship. The Henry L. Russell Memorial Fund. UW-Madison. US$400. 2011 Vilas Conference Presentation Funds. The Graduate Student Collaborative, UW-Madison. US$600. 2010 Travel scholarship. The Henry L. Russell Memorial Fund. UW-Madison. US$250. 2008 Vilas Travel Grant. The Graduate Student Collaborative, UW-Madison. US$600. 2005-2008 Government Grant for studying abroad. Ministry of Education, Taiwan. (covers tuition and living expenses). 2004 Research Grant. Survey of amphibians at Tung Yen Shan Forest Recreation Area. Forestry Bureau Shinchu District Office, Taiwan. US$9,000. 2013-present Assistant professor. Effect of Ferret Badger rabies on badger population and biodiversity. Forestry Bureau, COA. 2013-present Assistant professor. Ecology and conservation of Leopard cat in Nantou County. Forestry bureau Nantou District Office. 2012-2013 Postdoctoral fellow. Cooperation and conflict in communal breeding burying beetles (Nicrophorus nepalensis). Biodiversity Research Center, Academia Sinica, Taiwan. 2011-2012 Postdoctoral fellow. The effect of wind turbines on birds and bats in a wind energy project in Wisconsin. UW-Madison, U.S.A.
2007-2008 Research associate. The effect of human disturbance on behavior and physiology of Formosan leaf-nosed bat Hipposideros terasensis. Endemic Species Research Institute, Taiwan. 2004 Research associate. Survey of amphibians at Tung Yen Shan Forest Recreation Area. Forestry Bureau Shinchu District Office, Taiwan. 2002-2004 Research associate. Distribution and genetic variation of felines in Taiwan. Endemic Species Research Institute, Taiwan. 2001-2004 Research associate. Mammalian diversity in the 21 September 1999 earthquake area of Mt. Chiuchiu. Endemic Species Research Institute, Taiwan. 1994-1995 Research assistant. Altitudinal adaptation of the Taiwanese toad, Bufo bankorensis. Department of Biology, National Cheng Kung University. Taiwan. 2 Nov. 2004 Mammals of Taiwan. Yunlin County Veterinary Association, Taiwan. 23 Mar. 2004 Conservation of mammals in Taiwan. Yushan National Park, Taiwan. 25 Aug. 2003 Methodology for mammal survey. Endemic Species Research Institute, Taiwan. 5 Nov. 2000 The amphibians of Taiwan. Forestry Bureau Shinchu District Office, Taiwan. 15 Aug. 2000 Conservation of amphibians. Taiwan Forestry Bureau, Taiwan. 2003-2004 Editor. Nature Conservation Quarterly. Endemic Species Research Institute, Taiwan. (in Chinese).